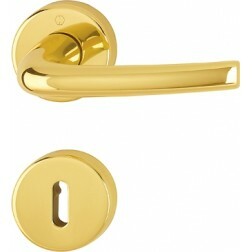 Interior door handle Hoppe model Dakar on round rose. 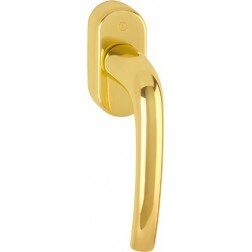 The Dakar series for interior doors is simple with slightly curved of the handgrip. 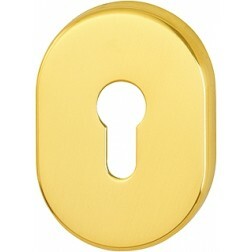 The construction material is make in solid brass, coated in satin chrome finish and polished brass. The satin chrome finish F41-R is covered by warranty Resista: a protective surface on the handle guaranteed for 10 years. The Dakar model appears simple but with meticulous construction as an elaborate design.